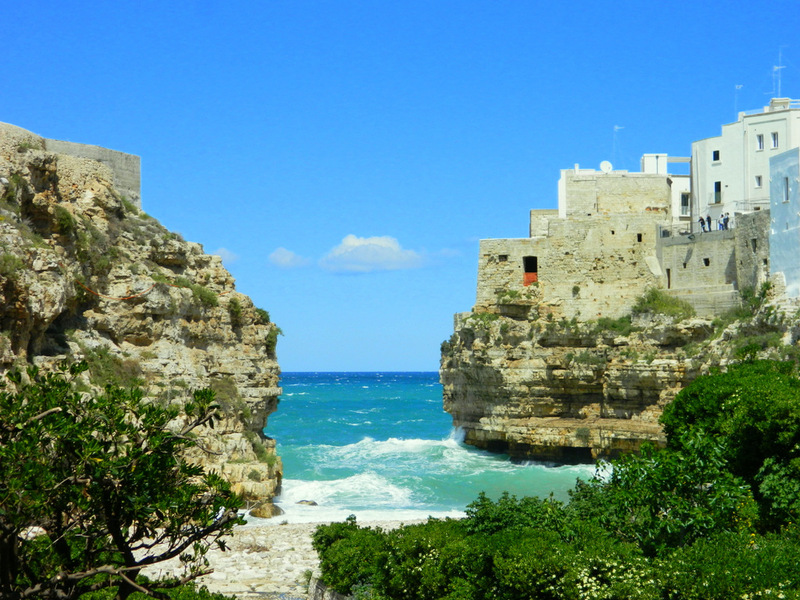 A short train ride to the south of Bari is the town of Polignano a Mare, where the houses are situated on top of steep cliffs as if they were scrambling to get the best view on the sea, with at least one particularly beautiful bay. 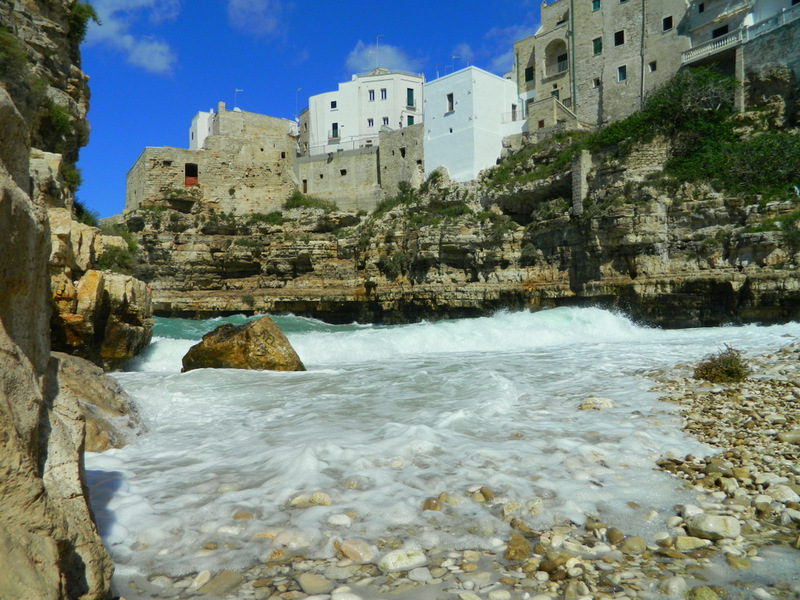 Narrow streets and whitewashed buildings provide a calm atmosphere, but I felt more drawn to the cliffs where the strong waves pounded against the stone, splashing salty water several meters into the air. 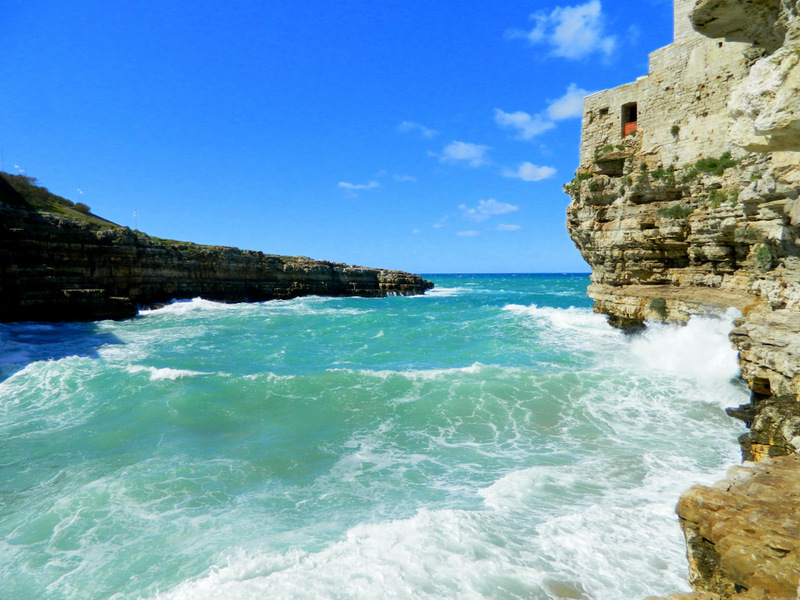 But Polignano a Mare is not only a beautiful place, it also boasts a number of festivals throughout the year, from kite-flying festivals to fireworks to processions to food festivals to cliff diving. 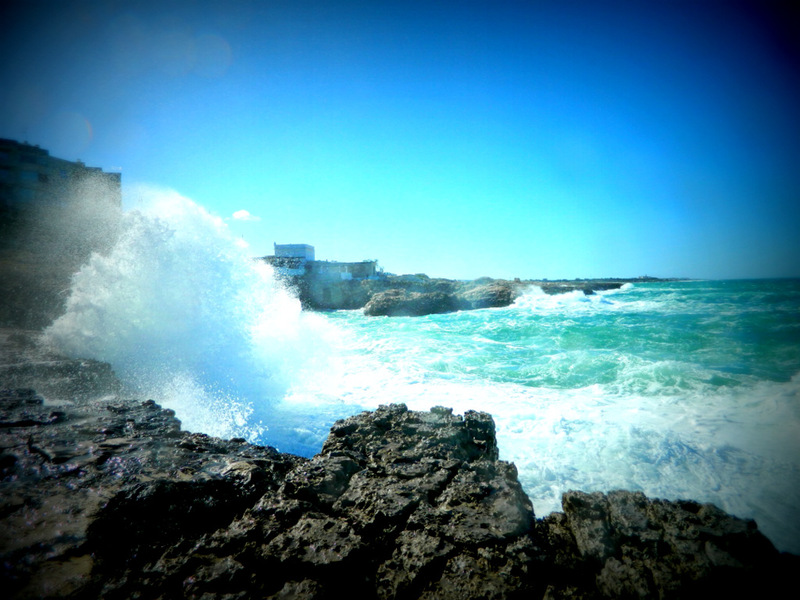 This entry was posted in Apulia, Italy, Photography, Travel and tagged Polignano a Mare, Puglia. Bookmark the permalink. looks a bit like my town… but those pics are amazing! you took them yourself too? Yes, I took all of these myself. Oh Marseille, a beautiful city! I spent 2 weeks in and around Marseille once. I loved hiking in the Calanques.